Reuse the same class but empty out the students and grades! 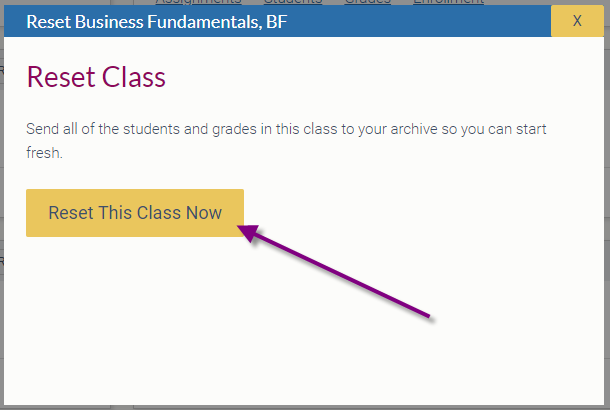 You can reset your class to start fresh with the same modules and settings but with new students! Sign in as a teacher. 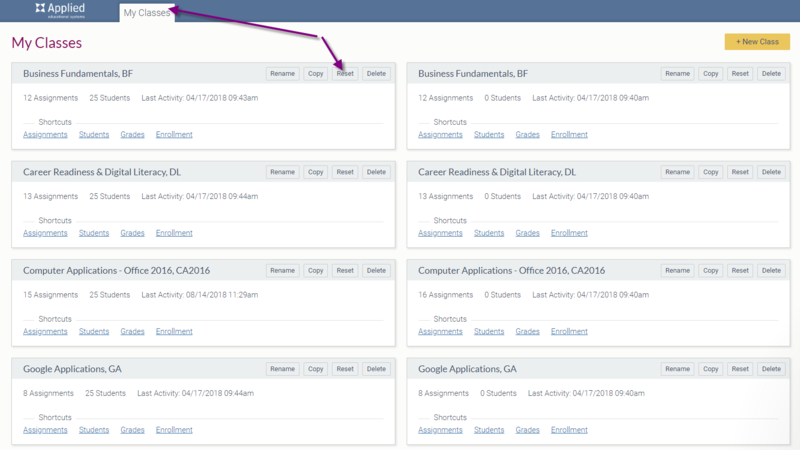 On the My Classes tab, find the class you want to reset and click the Reset button. 3. Then you will select the Reset This Class Now button. 4. Your class will now be reset! *Keep in mind you will have a new enrollment code when you reset your course. Changed your mind or need to retrieve a student's grade? Restore your class!